We were invited by the Directors of the Botanic Garden of the Polish Academy of Sciences in Powsin to deliver a musical setting for the final meeting of the Polish and Taiwan scientists visiting Warsaw. 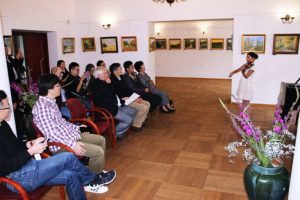 The Concert was performed on the 20th October 2017 in a picturesque Fangorówka mannor-house in the Botanic Garden where musicians of our School played works by Polish composers. Teacher of our School – pianist Magda Lewandowska performed with virtuosity Grand Polonaise in E-Flat Major op. 22 by Frederic Chopin. 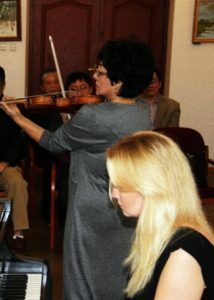 Our musicians were warmly applauded by the audience. We were also asked to musically cooperate with the the Botanic Garden in the future. We welcomed that with pleasure.